so, i got Windows 10 immediately once it was available.. even prior to that my touchpad was going in and out, like sometimes it sticks and doesnt work, but rubbing on it with a little force got it back and it'd be fine for hours or however long. btw i have a Dell Inspiron 1564. all of a sudden tonight, the touchpad doesnt work AT ALL. previously this has happened like once a month, but i just restart my comp and its all good.. but now it wont work at all, AND the computer doesnt recognize there being a touchpad or any touchpad drivers under device manager.. its just blank, the only time the "Mice and other pointing devices" even shows up is if i have a USB mouse plugged in, otherwise it isnt even listed. i've tried installing the driver from Dell, but using that one gives me the error that Windows 10 doesnt allow this app, or doesnt have support for it. i used some third party sites to try Alps and Synpatics drivers (heard that Synpatics might work), and they install fine, unlike the one from Dell, they dont give me the Windows 10 compatibility error.. but they just dont do ANYTHING. 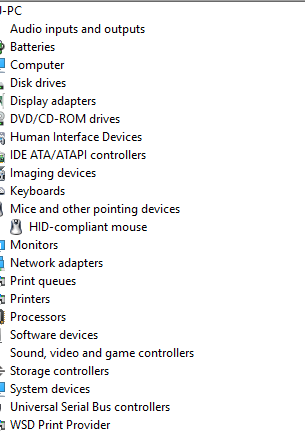 still nothing shows up in device manager. most "solutions" for touchpad related problems are to uninstall the driver and then restart Windows and let the drivers reinstall.. but i cant uninstall anything, and nothing is there to reinstall. i've also tried Windows Update to see if anything popped up there.. nothing did. the only thing shown is the USB mouse im now forced to use.